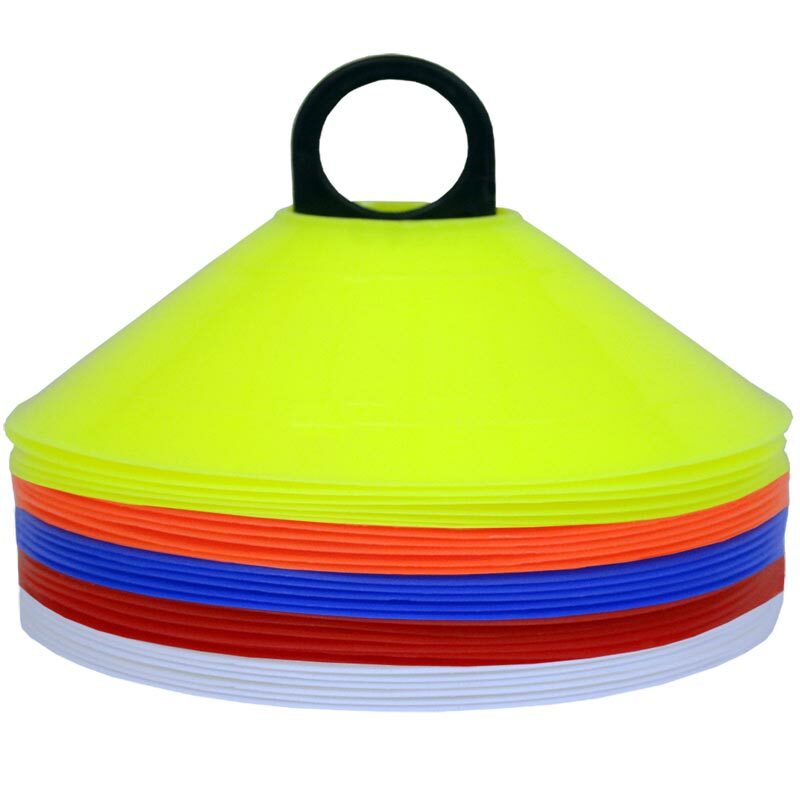 Ziland Sports Markers Set of 25, ideal for grass, play grounds or sports halls, used to mark out field areas, goal areas, obstacle courses etc. Delivered very promptly. Markers were just what we wanted, ideal. Good set flexible cones can be stood on and not damage u or cone . As a level 1 Rugby League coach I purchased the cones to assist with the training sessions, allowing me to section off areas. They are brilliantly fit for purpose - robust and well built, comes with a carrier. They do what's required. Useful carrier to keep them together. Got them on offer - so a good price. Wow, these are the business. An excellent buy. I'm "over the moon" For now on i'll be "taking each game as it comes". I'm sure the supporters will "get behind the lads"!! An excellent bit of kit - tested during a training session in strong wind. I thought the cones would have blown all over the place, not a chance, they stayed on the spot! I highly recommend this product.